Rhyll is a small fishing town on Phillip Island in Victoria, Australia. 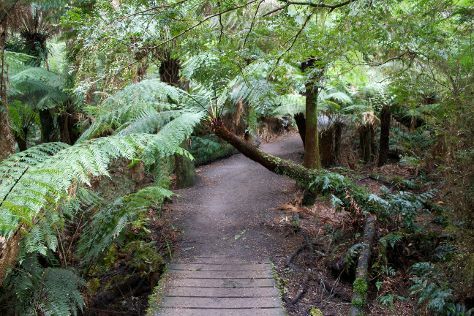 Start off your visit on the 15th (Sun): identify plant and animal life at Phillip Island Wildlife Park, then find something for the whole family at A Maze'N Things, then step off the mainland to explore Churchill Island, and finally Head underground at Forrest Caves. To find traveler tips, other places to visit, more things to do, and more tourist information, go to the Rhyll sightseeing planning app . Singapore, Singapore to Rhyll is an approximately 13.5-hour flight. The time zone changes from Singapore Time to Australian Eastern Standard Time (Victoria), which is usually a 2 hour difference. Prepare for much colder weather when traveling from Singapore in September: high temperatures in Rhyll hover around 19°C and lows are around 9°C. Wrap up your sightseeing on the 15th (Sun) to allow time to travel to Apollo Bay. Apollo Bay is a coastal town in southwestern Victoria, Australia. On the 16th (Mon), stroll through Great Ocean Walk, get a taste of the local shopping with Karmic Goat Soapworks, then take some stellar pictures from Mariners Lookout, and finally hike along Mait's Rest. To find reviews, more things to do, and tourist information, refer to the Apollo Bay day trip planning website . Traveling by car from Rhyll to Apollo Bay takes 4.5 hours. Finish up your sightseeing early on the 16th (Mon) so you can go by car to Warrnambool. Warrnambool is a regional centre and former port city on the south-western coast of Victoria, Australia. Start off your visit on the 17th (Tue): get impressive views of Tower Hill Wildlife Reserve, then look for all kinds of wild species at Thunder point Coastal Reserve, then stroll around Lake Pertobe Adventure Playground, and finally tour the pleasant surroundings at Logan's Beach. On the 18th (Wed), you'll have a packed day of sightseeing: see the interesting displays at Flagstaff Hill Maritime Village, explore the activities along Bay of Islands, and then take in the dramatic natural features at London Bridge. To find reviews, maps, where to stay, and other tourist information, go to the Warrnambool trip builder . You can drive from Apollo Bay to Warrnambool in 3 hours. Other options are to take a bus; or do a combination of bus and train. Cap off your sightseeing on the 18th (Wed) early enough to travel to Melbourne. Kick off your visit on the 19th (Thu): see the interesting displays at Melbourne Museum, then take in nature's colorful creations at Royal Botanic Gardens, then enjoy breathtaking views from Eureka Skydeck 88, and finally take in nature's colorful creations at Fitzroy Gardens. 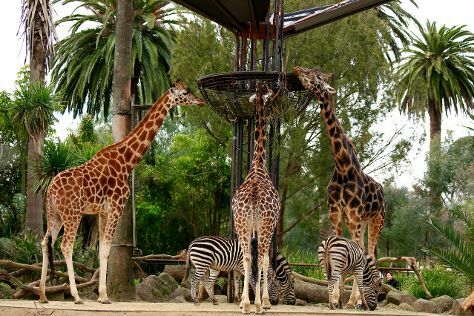 Get ready for a full day of sightseeing on the next day: learn about wildlife with up-close encounters at Melbourne Zoo. To see reviews, other places to visit, maps, and tourist information, go to the Melbourne tour itinerary planner. Fly from Warrnambool to Melbourne in 3 hours. Alternatively, you can drive; or take a train. In September, daytime highs in Melbourne are 20°C, while nighttime lows are 7°C. Wrap up your sightseeing by early afternoon on the 20th (Fri) to allow time for travel back home.